Rooted in rich global traditions many centuries old and widely practiced throughout Europe and the U.K., Naturopathic Medicine has experienced a powerful resurgence in Canada. We live in enlightened times — more people are now aware of the healing effects of good nutrition, physical fitness, the role of stress in our lives, and the mind/body connection. Side effects, rarely. Most of them positive. We strive to use natural approaches that will do no harm. It’s well documented that many natural therapies are highly effective, with a relative absence of side effects. Modern scientific studies continue to support this inescapable truth. Naturopathic Medicine, often eclipsed by “wonder” drugs and advances in hospital technology, has now become a viable — and often preferred — health care option. However in situations where pharmaceuticals are necessary Dr. Jackson is licensed to prescribe them. A medical doctor (MD) has attended a four-year medical school and has completed a residency program. Naturopathic doctors (ND) also complete four years of post-graduate medical training. Our training is similar to that of medical doctors during the first two years of medical school where we are trained in basic medical sciences — in the second two years our training is focused on natural therapies. While N.D.s also study minor surgery and pharmacology, we have extensive training in natural medicine and procedures that are safe and non-toxic. Achieving overall wellness is the goal of the naturopathic physician. Individualized treatment is prescribed after careful analysis of the patient’s history, including nutrition, stress, environment and psychological factors. Physical examinations and laboratory tests are performed not only to diagnose illness, but also to determine the health of organ systems. Perceived to be at odds with one another, Western Medicine and Naturopathic Medicine often need each other. 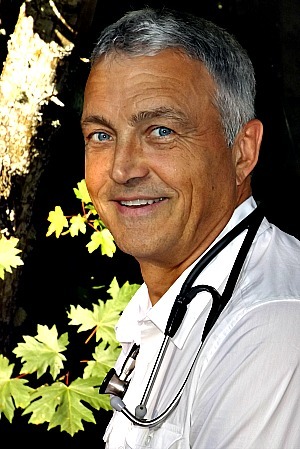 Because the naturopathic physician values all branches of medical science, he readily refers patients to other physicians for diagnostic testing or treatment when appropriate. What matters is showing healthy results for the patient throughout all stages of family care, from natural childbirth through geriatrics. Fact: Licensed naturopathic physicians are the ONLY primary care doctors clinically trained in a variety of natural therapies. These include nutrition, dietary intervention, nutriceutical therapy, acupuncture, physical therapy, hydrotherapy, therapeutic exercise, counseling and botanical medicine. When looking for alternative health care, be sure to look for the licensed ND distinction — naturopathic doctor. In addition to being grounded in medical science, physical and clinical diagnoses, with training in how to treat disease and optimize wellness, we are also versed in lab results that tell us about whether the body is functioning optimally or not.